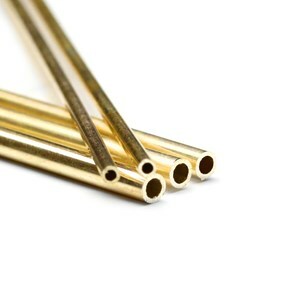 Our sterling silver and 9ct gold metal tube is available in a range of sizes and can be cut to a length that suits you. We have a large range of silversmithing tools to use with metal tubing. We provide sterling silver and 9ct gold metal tube in a range of sizes which can be cut to a length that suits you. Metal tube can be used for various jewellery designs such as creating tube settings, hinges and soldering onto pendants to make a bail.